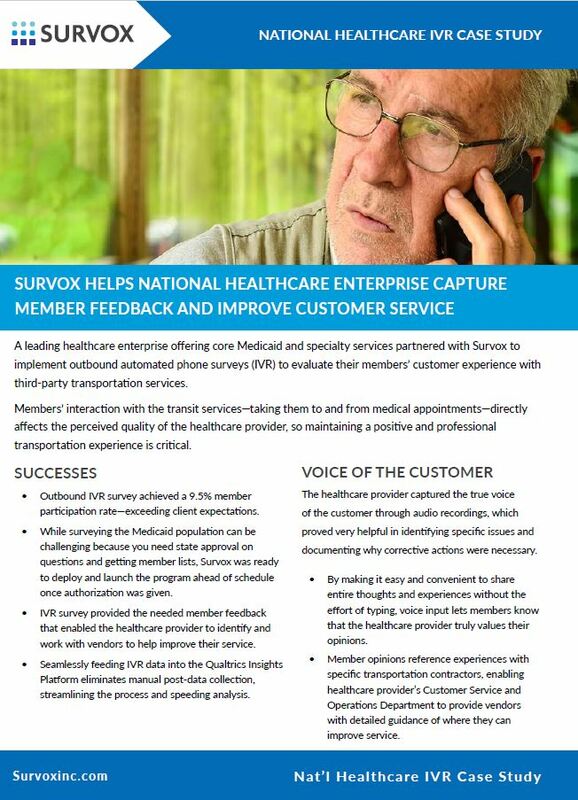 When a nation-wide healthcare provider of Medicaid and specialty services needed to gather more customer experience feedback on their member interaction with their service providers, they contacted Survox. The key challenges for increasing customer feedback were timing and reach. For this application and the demographic the company needed to survey, Survox’s automated interactive voice response (IVR) phone survey proved to be the ideal method for collecting valuable voice of the customer insight. To get an idea of how IVR can improve survey reach and coverage for your customer experience or voice of the customer initiative, download the case study “National Healthcare Provider Improves Customer Service with IVR”. Download this FREE Case Study!